A little red book about contemporary architecture. As I’d expected before opening it, there is a lot of ugliness here – architecture that reminds me of a phrase in Evelyn Waugh’s Put Out More Flags (1942): “the vast bulk of London University insulting the autumnal sky.” There are buildings here that insult the sky, the eye, and everything else. They look like bricks, kitchen utensils or nerve-gas factories. But there are also buildings that look like jewels, waves or sea-shells. 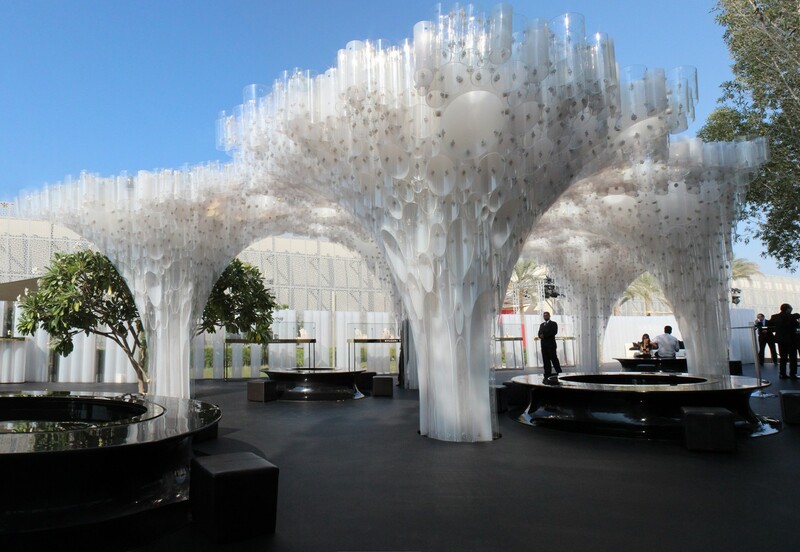 The Bvlgari Art Pavilion at Manarat Al Saadiyat, in Abu Dhabi, is literally jewel-like: “Off-the-shelf acrylic tubes are assembled to create a rigid pavilion whose shape is inspired by a rough gemstone” (pp. 44-5). Elsewhere, the columns at Terminal 2 of the Chhatrapati (sic) Shivaji International Airport in Bombay look like a cross between lotus stems and stalactites. 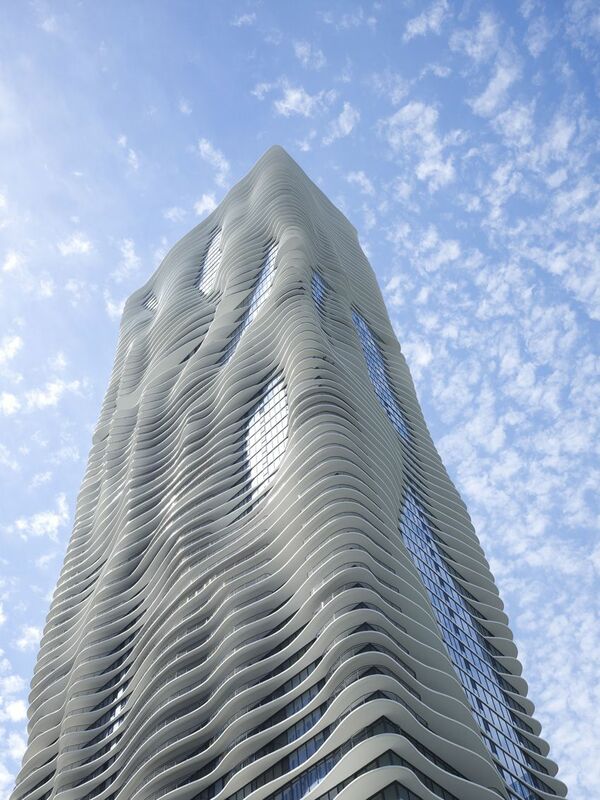 But the Aqua Tower in Chicago doesn’t so much achieve beauty as avoid ugly. It’s “really just a traditional rectangular skyscraper”, but the architect made the balconies into “curvy and changing platforms”, so it harmonizes with the sky and clouds rather than clashing with them (pp. 76-7). 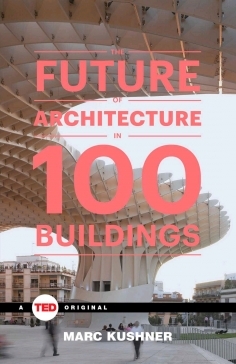 To date modern architecture has certainly challenged the limits of ugliness and abhumanity, but this book suggests that advancing technology is allowing older ideas to re-emerge. Buildings should be like bodies: full of curves and small details, not straight lines and sharp corners. They should defy the lifelessness of stone, metal and plastic, not emphasize it. Some of the buildings here defy it, some emphasize it. I hope the defiance wins.